Weekly market featuring a good range of stalls and boot sales. Includes a licensed kitchen, with hot and cold food available and café style dining. Large carpark and free entry. 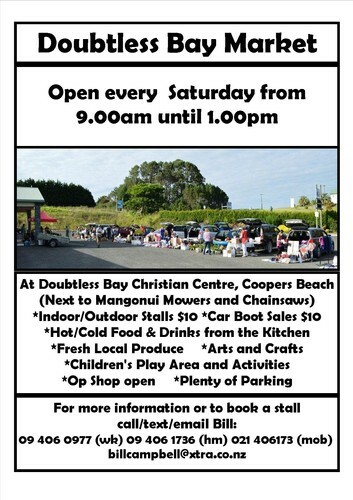 New stallholders and boot sales always welcome, with plenty of under cover sites, as well as outdoor sites. Phone Bill on 021 406173 for further details.